A double degree allows you to obtain two university degrees: one at FIB and one at the university which whom we have a dual degree agreement. Most dual degree agreements involve at least one year of study abroad. Each double degree agreement sets the requirements you must meet to qualify for one of these places. What benefits receive the students who achieve a double degree? The formation they receive allows them to either reach a new specilization or further the one they already have. They significantly increase the knowledge of the other country: language, culture, etc. since the mobility is longer (at least one year). From a working standpoint, they are professionally accredited in two different countries which expands their possibilities of employment contracts. There is an important personal growth: increasing adaptability, more open mind, etc. 4 semesters at ISIS (2 academic years, 120 ECTS) with the possibility of spending the last semester, dedicate to making the MFT in a company in Barcelona. The stay begins in September. At the end of the studies you will obtain both the Bachelor degree in Informatics Engineering for FIB and Ingénieur ISIS (master degree). To have passed all specialization, including complementary subjects of specialization. 2 semesters at ISIMA (1 academic year, 60 ECTS): 30 ECTS of subjects and 30 ECTS of MFT. You will obtain both the Master in Informatics Engineering (master degree) for FIB and Ingénieur ISIMA (master degree). To have passed all credits of MEI except MFT. Available for FIB students of the MIRI’s specialization High Performance Computing (HPC) and for MIRI FIB students without specialization. 2 semesters, últim curs (October-July), at POLITO (30 ECTS of subjects and 30 ECTS of Master Thesis). 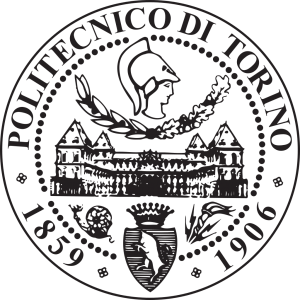 At the end of the studies two graduation certificates will be obtained: Master in Innovation and Research in Informatics (MIRI) from FIB and Laurea Magistrale in Ingegneria Informatica from POLITO, with specialization “Orientamento Software” or “Orientamento Embedded Systems” based on the itinerary. With this itinerary you will obtain the specialization “Orientamento Embedded Systems”. Have passed the 60 ECTS of the specific subjects established in the agreement. English level accredited: B1 or higher. 2 semesters, the last academic year at IPN (30 ECTS of courses and 30 ECTS of FMT). You will obtain two graduation certificates: Master in Innovation and Research in Informatics for FIB and Maestría en Ciencias en Ingeniería de Cómputo from IPN. English level accredited: B2.1 or higher. You will obtain both the Master in Artificial Intelligence (FIB-UPC) and the Magíster en Informática con la mención en Ciencias de la Computación. To have passed the 60 ECTS of the first two semester of MEI or MAI at the moment for leaving.